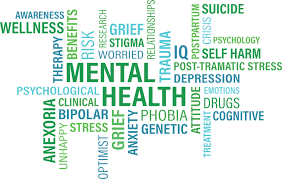 Last month NPR published an article titled, “Here’s How Schools Can Support Students’ Mental Health,” where they suggest a ‘multi-tiered system of support’ which can substitute the mental health support needs that are lacking in schools. This multi-tiered system offers support for everyone and builds levels of more and more specialized help. MHA-NYC’s Cristina Harris, Program and Training Manager for the Center for Policy, Advocacy, and Education, is a certified Mental Health First Aid (adult) and Youth Mental Health First Aid instructor. We asked for her thoughts on this article, and have shared them with you below. Yes, yes, and yes! A holistic, multi-tiered approach to supporting children’s mental, emotional and behavioral health is key to their ability to thrive academically and socially. The schools in this article are recognizing the need to address not only the students’ academic needs but to look beyond the behavior and the challenges to address what lies beneath. Creating a safe environment that trains staff to respond to a child’s unmet social, emotional, and mental needs rather than punish the behavior is foundational to ensuring that students grow into self-aware, reflective, and mentally healthy adults. The Mental Health Association of NYC oversees the Coordinated Children’s Services Initiative (CCSI), which is a cross-systems city-wide approach to addressing the unmet mental health needs of our city’s children and youth. Each of the five boroughs has a Borough Based Council that meets monthly to discuss challenges to children and youth’s mental health, explore the systems that directly affect them, and develop solutions toward alleviating some of the larger systems issues in the city. We often hear great concerns from parents, caregivers, social service providers, and other youth development professionals about the need for greater attention to our children’s mental and emotional health while in school. Each council often invites representatives from exemplary schools, the NYC Office of School-Based Mental Health, and the NYC Department of Health and Mental Hygiene to attend the meetings, present information and current practices, and answer questions of our members. CCSI works as an entity to find solutions and share resources to continually de-stigmatize mental health and optimize supportive and safe environments for all children. We invite you to join your Borough Based Council and become part of solutions for NYC’s children and youth today! For more information, please contact Anjelica Campbell at acampbell@dev-mha-vibrant.pantheonsite.io or at 212-614-6356.